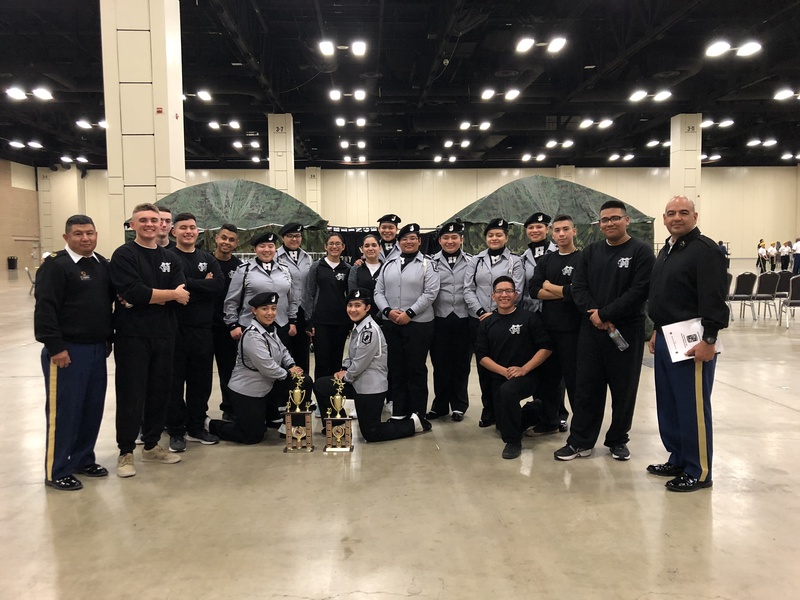 The Harlingen High School (HHS) JROTC Silver Guard Unarmed Drill Team earned an invitation to the National High School Drill Team Championships in Daytona Beach, Florida on May 4. This competition is the largest JROTC event in the country and consists of the best All-Service JROTC Drill Teams in the world. It will be a first for the HHS JROTC program. The HHS JROTC Silver Guard Unarmed Drill Team competed at the 5th Brigade JROTC Drill Team Championships on Jan. 6. The competition was held in San Antonio where the team earned a 3rd place finish in the Team Inspection area and 4th place in the Team Exhibition area. These accomplishments earned them a spot as one of the Top 12 teams out of eight states to compete for 5th Brigade at the United States Army JROTC Drill nationals in Louisville, Kentucky on April 14. The Silver Guard is an unarmed drill team, which performs hand and foot coordination routines along with marching movements. The guard is committed to maintaining high standards and expectations as the Cardinal Battalion. The competition consists of the four categories: Inspection (questionnaire of studied drill knowledge and JROTC curriculum), Regulation (stationary drill movements and marching), Exhibition (fancy, freestyle drill), and Color Guard (a four-member team escorting the nation’s flag through a ceremonious drill). In hopes of recruiting new members to the team, they strive to reach the final stage of the competition in the drill season at the JROTC All-Service National Champions Competition. “I am excited to show friends, family, and Harlingen High School who the Silver Guard Unarmed Drill Team is,” proudly states Cadet Major Lolli Zavala, Commander of the Silver Guard Unarmed Drill Team.